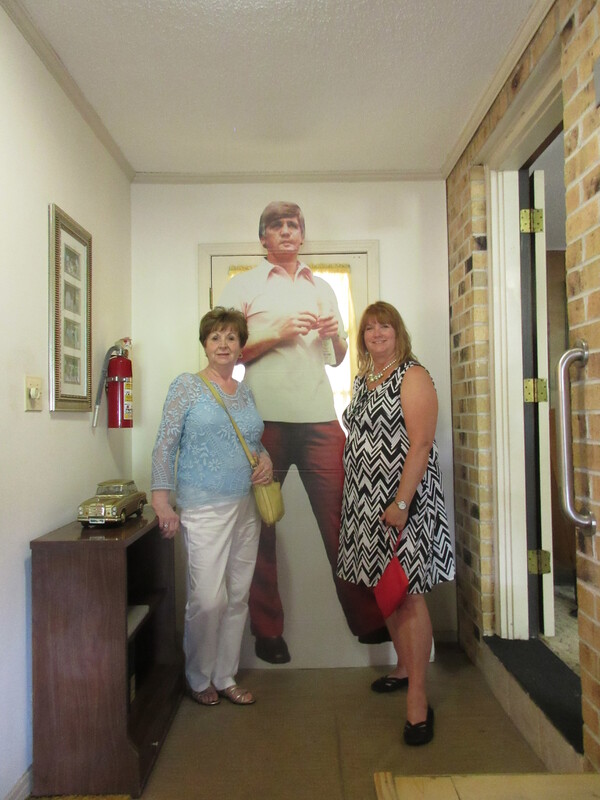 The Buford Pusser Museum was a random stop, but a memorable one. Growing up watching Walking Tall, I was a bit in awe of the man that the story was based on, although a bit skeptical that it was all true. According to what I learned at his museum he really did live the life that the movie recounts. The museum and home is in Adamsville, Tennessee and my mom and I stopped by for a quick run through. We learned that Pusser was the sheriff of McNairy County Tennessee and that while serving, he literally took the county by storm. Buford Pusser was born on December 12, 1937 and died quite mysteriously in a car crash on August 21, 1974. Both a basketball and football player during high school, Pusser joined the Marines at 18 years of age after graduation. His military service was cut short during United States Marine Corps Recruit Training, when it was discovered he had asthma. After receiving a medical discharge, Pusser moved to Chicago in 1957 to work at Union Bag Co. There he met and married his wife, Pauline, a young, attractive divorcee with two children, Diane and Mike.while living in Chicago. Later during their marriage the two would have one daughter Dwana. The Pussers were married December 5, 1959. On weekends Buford Pusser was a wrestler around the Chicago area. He went by the tag, “Buford the Bull” which is fitting because he was certainly a big man. He was six feet six and weighed in at 250lbs. Pusser returned to his hometown of Adamsville with his wife in 1962 and began a term as the Adamsville Chief of Police. He served as Chief of Police until1964. The Chief of Police was a position, according to our guide that his father had before him. From 1964-1970 Pusser was the Sheriff of McNairy County and at age 26, the youngest sheriff in state history. August 21, 1974: Buford Pusser died in an automobile accident. There are various explanations for the crash, but nothing is substantiated. 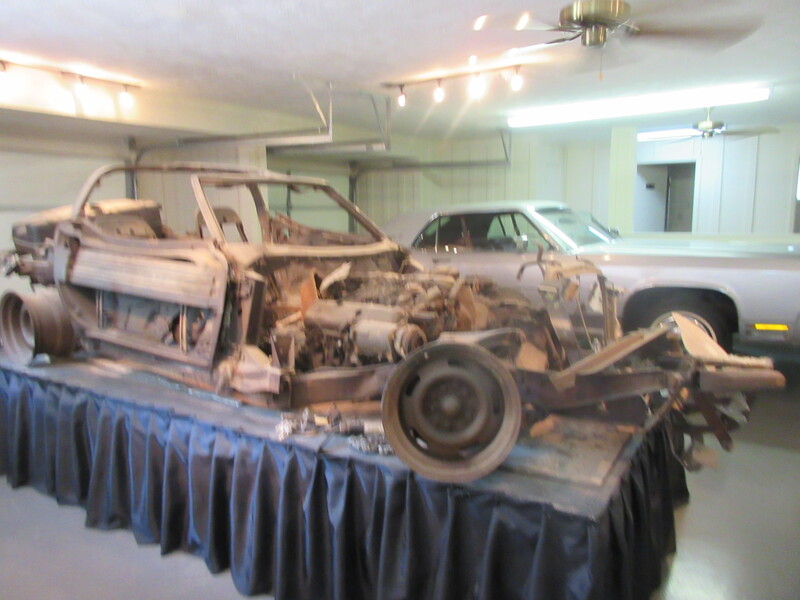 The car is on display at the museum. Country singer George Jones was one of his pall bearers and Actor Joe Don Baker & Elvis Presley (among others) attended his funeral. Today his daughter Dwana Pusser Garrison (and her husband) continues to keep his legacy alive. While I am quite sure today he would be considered politically incorrect and never allowed to curtail crime the ways he did back then, he is a true hero that took on the bad guys and won. Maybe they got him in the end, but his is a story of a white knight and what makes it special is that he was a real man fighting for justice, not just a comic book legend. A Buford Pusser Festival is held each May in his hometown of Adamsville, Tennessee. For more information about the museum log onto http://www.bufordpussermuseum.com/index.php/about-us/tours. Previous Post: Get ready, Half a Century 2015 is coming to town!